At the time of writing, Sarah Hill was a fourth year medical student at the University of Notre Dame in Fremantle and had previously graduated with a Bachelor of Arts majoring in anthropology and languages. She has an interest in emergency medicine, rural medicine and global health. This article aims to illustrate the urgent need for the development of appropriate strategies and programs, which are founded on evidencebased research and also integrate cultural consideration for, and design input from, the Indigenous communities, in order to reduce the medical and social burden of ear disease among Indigenous Australians. This review covered recent literature concerning studies of ear disease in the Australian Indigenous population. Medical and social science databases were searched for recent publications from 2000-2011. Articles were retrieved from The Cochrane Library, PubMed, Google Scholar and BMJ Journals Online. Search terms aimed to capture a broad range of relevant studies. 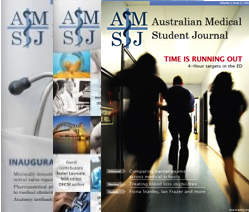 Medical textbooks available at the medical libraries of Notre Dame University (Western Australia) and The University of Western Australia were also used. A comprehensive search was also made of internet resources; these sources included the websites of The Australian Department of Health and Ageing, the World Health Organisation, and websites of specific initiatives targeting ear disease in the Indigenous Australian population. Peer reviewed scientific papers were excluded from this review if ear disease pertaining to Indigenous Australians was not a major focus of the paper. Studies referred to in this review vary widely in type by virtue of the multi-faceted topic addressed and include both qualitative and quantitative studies. For the qualitative studies, those that contributed new information or covered areas that had not been fully explored in quantitative studies were included. Quantitative studies with weaknesses arising from small sample size, few factors measured or weak data analysis were included only when they provided insights not available from more rigorous studies. Chronic suppurative otitis media (CSOM) is uncommon in developed societies and is generally perceived as being a disease of poverty. The World Health Organisation (WHO) states that a prevalence of CSOM greater than or equal to 4% indicates a massive public health problem of CSOM warranting urgent attention in targeted populations. CSOM affects Indigenous Australian children up to ten times this proportion,  and fifteen times the proportion of non-Indigenous Australian children,  thus reflecting an unacceptably great dichotomy of the prevalence and severity of ear disease and its complications between Indigenous and non-Indigenous Australians. Comparisons of the burden of mortality and the loss of disabilityadjusted life years (DALYs) have been attempted between otitis media (all types grouped together) and illnesses of importance in developing countries. These comparisons show that the burden of otitis media is substantially greater than that of trachoma, and comparable with that of polio,  with permanent hearing loss accounting for a large proportion of this DALY burden. However, translating all this knowledge into better health outcomes – by means of individual clinical treatment and community preventative strategies – is not straightforward. A more thorough understanding of the polymicrobial pathogenesis is needed if more effective therapies for otitis media are to be achieved. Some research has been involved in the possibility of a genetic predisposition to otitis media, based on its high prevalence observed across several Indigenous populations around the world, including the Indigenous Australian, Inuit, Maori and Native American peoples. However, whilst the suggestion that genetic factors may play a role in otitis media susceptibility is a worthwhile area of further research, its emphasis should not overlook the significance of poverty, which generally exists throughout colonised Indigenous populations worldwide and is a major public health risk factor. It should be remembered that socioeconomic status is a major determinant of disparities in Indigenous health, irrespective of genetics or ethnicity. Raised levels of stress and poor mental health associated with the psycho-spatial elements of overcrowded living (that is, increased interpersonal contact, lack of privacy, loss of control, high demand, noise, lack of sleep) may therefore be considered as having a negative impact on the health of dwellers, especially those whose health largely depends on care from others, such as the elderly and young children, who are more susceptible to disease. Urgent attention is needed to improve housing and access to clean running water, nutrition and quality of care, and to give communities greater control over these improvements. Exposure to environmental smoke is another significant, yet potentially preventable, risk factor for respiratory infections and otitis media in Indigenous children. [25,26] Of all the environmental risk factors for otitis media mentioned above, environmental smoke exposure is arguably the most readily amenable to modification. A recent randomised controlled trial tested the efficacy of a family-centred tobacco control program, aimed at reducing the incidence of respiratory disease among Indigenous children in Australia and New Zealand. It was found that interventions aimed at encouraging smoking cessation as well as reducing exposure of Indigenous children to environmental smoke had the potential for significant benefit, especially when the intervention designs included culturally sound, intensive family-centred programs that emphasised capacitybuilding of the Indigenous community. Such studies testify to the potentially high levels of interest, cooperativeness, pro-activeness and compliance demonstrated by Indigenous communities regarding public health interventions, given the study design is culturally appropriate and accepts that Indigenous people need to be meaningfully engaged in preventative health efforts. The advent of the 7-valent pneumococcal conjugate vaccine has seen a substantial decrease in invasive pneumococcal disease. However, changing patterns of antibiotic resistance and pneumococcal serotype replacement have been documented since the introduction of the vaccine, and large randomised controlled trials have shown its reduction of risk of acute otitis media and tympanic membrane perforation to be minimal. [13,27] One retrospective cohort study’s data suggested that the pneumococcal immunisation program may be unexpectedly increasing the risk of acute lower respiratory infection (ALRI) requiring hospitalisation among vaccinated children, especially after administration of the 23vPPV booster at eighteen months of age. These findings warrant re-evaluation of the pneumococcal immunisation program and further research into alternative medical prevention strategies. Swimming pools in remote communities have been associated with reduced prevalence of tympanic membrane perforations (as well as pyoderma), indicating the long term benefits associated with reduction in chronic disease burden and improved educational and social outcomes. No outbreaks of infectious diseases have occurred in the swimming pool programmes to date and water quality is regularly monitored according to government regulations. On the condition that adequate funding continues to maintain high safety and environmental standards of community swimming pools, their net effect on community health will remain positive and worthwhile. A recent study compared the clinical effectiveness of a single-dose azithromycin treatment with the recommended seven day course of amoxicillin among Indigenous children with acute otitis media in rural and remote communities in the Northern Territory. Whilst azithromycin was found to be more effective at eradicating otitis media pathogens than amoxicillin, azithromycin treatment was associated with an increase in carriage of azithromycin-resistant Streptococcus pneumoniae. Another recent study investigated the antimicrobial susceptibility of Moraxella catarrhalis isolated from a cohort of children with otitis media in the Kalgoorlie-Boulder region of Western Australia. It was found that a large proporstion of strains were resistant to ampicillin and/or co-trimoxazole. 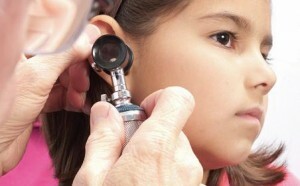 Findings from studies such as these indicate that the current therapeutic guidelines, which recommend amoxicillin as the antibiotic of choice for treatment of otitis media, may require revision. Overall, further research is needed to determine which antibiotics best eradicate otitis media pathogens and reduce bacterial load in the nasopharynx in order to achieve better clinical outcomes. Recent studies indicate that currently recommended antibiotics may need to be reviewed in light of increasing rates of resistant organisms and emerging evidence of new organisms. The fact that the Northern Territory study of adult inmates showed a comparatively low prevalence of hearing loss among Indigenous persons who weren’t imprisoned (33% not imprisoned compared with 94% imprisoned)  demonstrates a strong correlation between the high prevalence of hearing loss and the over-representation of Indigenous people in Australian correctional facilities. Although this area warrants further research, the data from these studies demonstrate that the higher prevalence of hearing loss among Indigenous inmates suggests that ear disease and hearing loss may have played a role in many Aboriginal and Torres Strait Islander people becoming inmates. As we have discussed throughout this article, the unacceptably high burden of ear disease among Indigenous Australians is due to a myriad of medical, biological, socio-cultural, pedagogical, environmental, logistical and political factors. All of these contributing factors must be addressed if a reduction in the morbidity and social ramifications associated with ear disease among Indigenous Australians is to be achieved. The great dichotomy in health service provision could eventually be eradicated if there is the political will and sufficient, specific funding. Addressing these factors will require the integration of multi- disciplinary efforts from medical researchers, health care practitioners, educational professionals, correctional facilities, politicians, and most importantly the members of Indigenous communities. The latter’s active involvement in, and responsibility for, community education, prevention and medical management of ear disease are imperative to achievement of these goals. 1. Specifically target and reduce identified risk factors of otitis media. 2. Support the implementation of effective, evidence-based, public health prevention strategies, and encourage community control over improvements to education, employment opportunities, housing infrastructure and primary healthcare services. 3. Support constructive and practical multidisciplinary research into the areas of pathogenicity, diagnosis, treatment, vaccines, risk factors and prevention strategies of otitis media. 4. Support and encourage training and employment for healthcare and educational professionals in regional and remote areas. These professionals include doctors, audiologists, speech pathologists, and teachers, and all of these professions should off er programs that increase the number of practising Aboriginal and Torres Strait Islander clinicians and teachers. 6. Support the needs of students and inmates with established hearing loss in the educational and correctional environments, for example, through provision of multidisciplinary healthcare services and the use of sound field systems with wireless infrared technology. 7. Support community and family education regarding the effects of hearing loss on speech, language and education. All of these objectives should be fulfi lled by cost-effective, sustainable, culturally-sensitive means. It is of paramount importance that these objectives should be well-received by, and include substantial input from, Indigenous members of the community. Successful implementation of these objectives reaching the grass-roots level (thus avoiding the so-called “trickle-down” effect) will not only require substantially increased resources, but also the involvement of Indigenous community members in intervention design and deliverance. Whilst there remains a continuous need for valuable research in the area of ear disease, it appears that failure to apply existing knowledge is currently more of a problem than a dearth of knowledge. The design, funding and implementation of prevention strategies, community education, medical services and programs, and modifications to educational and correctional settings should be the current priorities in the national agenda addressing the burden of ear disease among Aboriginal and Torres Strait Islander people.